Don't miss the latest happenings out of Arizona Snowbowl, including new lifts, terrain expansions, weather, photo galleries, infographics and current events skiers and mountain travelers should know about. Stay up-to-date on Arizona Snowbowl news and events by clicking on articles from the list below or page through to see coverage from the entire ski season. 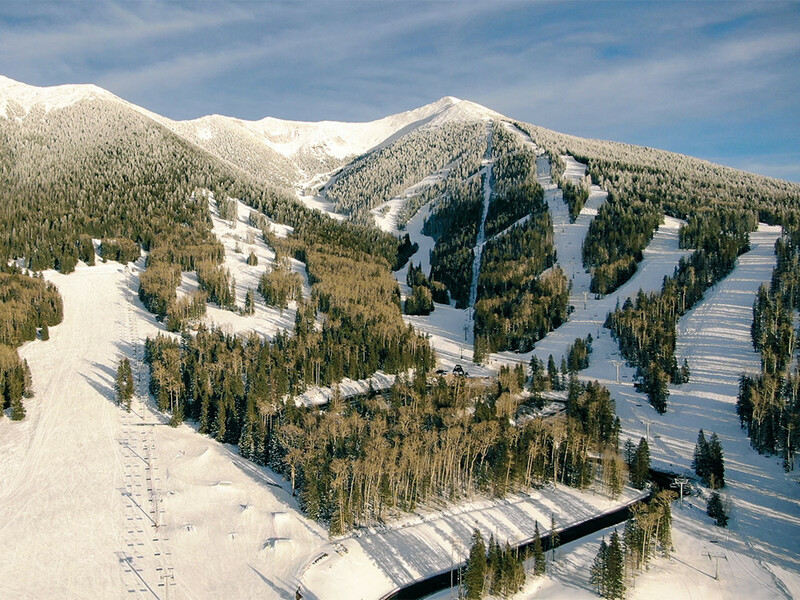 Arizona Snowbowl announces its third new lift in three consecutive years. Combined, the three new lifts increase Snowbowl's overall uphill capacity by 85 percent or almost double over what it was in the 2014-15 winter season. This newest lift to open for the 2017-18 winter season will be a Doppelmayr quad chairlift. It will replace the existing Hart Prairie Riblet double chairlift originally installed in 1981. The new lift will feature Arizona’s first loading conveyor, which is similar to a moving sidewalk and designed to make loading the chairlift easier and more efficient. The conveyor simply moves the skier along the loading zone, and when the chair approaches, the skier is smoothly swept up and seated in the chair. Snowbowl season passes are now on sale through August 4th and the resort is open for the scenic chairlift and disc golf. Skiers at Snowbird, Whitefish and Arizona Snowbowl are enjoying new upgrades at the resorts. Fatten up your wallet with these money-saving lift ticket deals from resorts in Utah, Colorado and Arizona. Holiday festivals and lift ticket deals rule the hill as Southwest resorts celebrate December. Stormy weather returned during the end of January for most of the Rockies. Will it continue into February? Ski writer Arnie Wilson, already in the Guinness Book of Records for skiing on every day in 1994, has completed a new feat – skiing in every US state with at least one ski lift and snow – 37 in total. Another court ruling goes in favor of snowmaking at Arizona Snowbowl.